NOT AGE RESTRICTED & NO HOA! 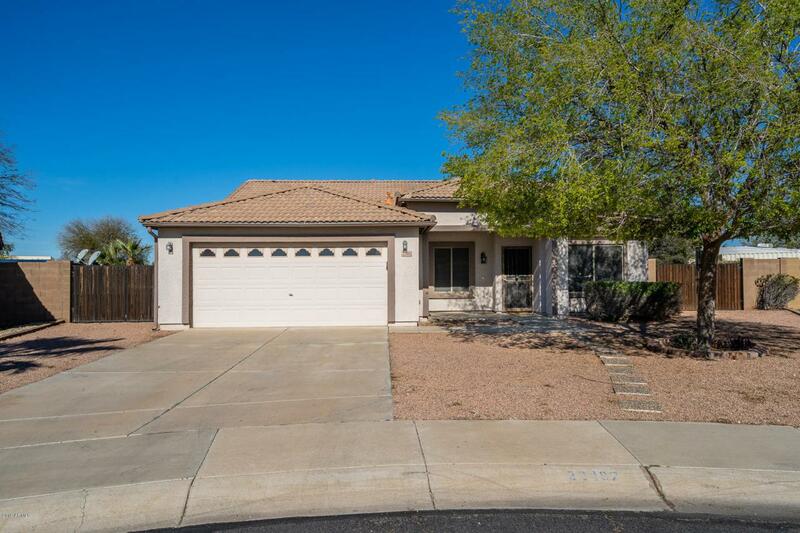 LARGE CUL-DE-SAC LOT & HOME HAS GREAT CURB APPEAL. EASY TO MAINTAIN DESERT LANDSCAPING WITH COVERED FRONT PORCH. 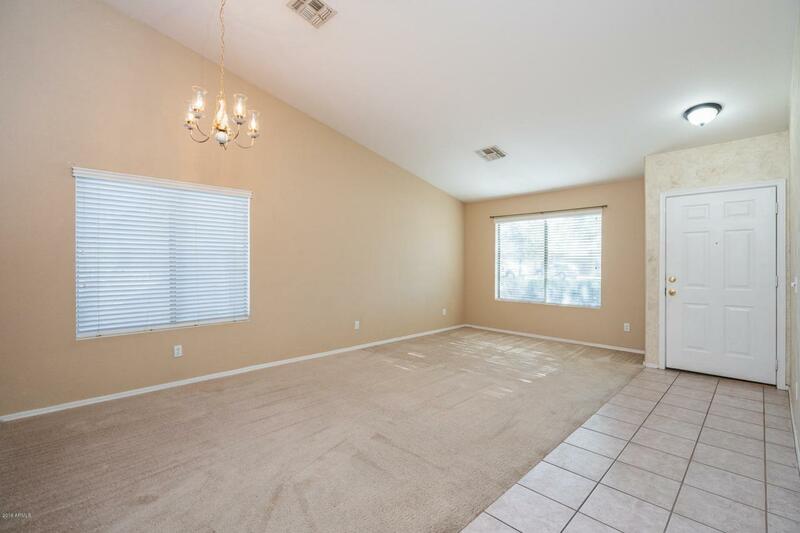 OPEN CONCEPT FLOOR PLAN IS GREAT FOR ENTERTAINING WITH CEILING FANS THROUGHOUT. EAT IN KITCHEN WITH KITCHEN ISLAND, BREAKFAST BAR, DECORATIVE TILE BACK SPLASH & LARGE PANTRY. MASTER FEATURES 3 PIECE BATH, DOUBLE SINKS, WALK-IN CLOSET WITH BUILT IN SHELVING. 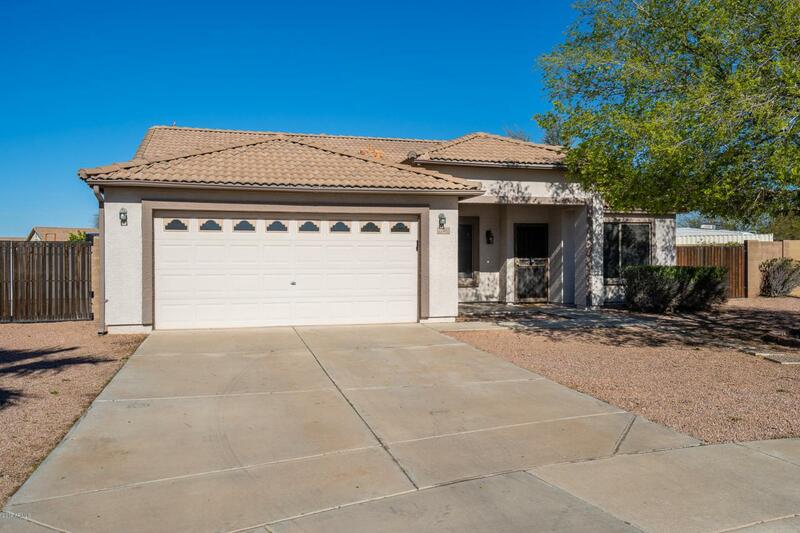 HUGE BACK YARD W/ COVERED PATIO, BRICK PAVED SITTING AREA & DUAL RV GATES. IDEAL PROPERTY FOR FAMILY GATHERINGS, BBQ'S AND OUTDOOR GAMES. HUGE LOT WOULD ALLOW NEW OWNER TO INSTALL A POOL IF DESIRED. EXTENDED 2 CAR GARAGE W/ WORKSHOP SPACE & BUILT-IN CABINETS. PROPERTY IS CLOSE TO SHOPPING, RESTAURANTS & NUMEROUS RECREATION AREAS. THERE IS QUICK ACCESS TO EITHER 101 OR 303 FWY. Cross Street 107TH AVE & DEER VALLEY RD.